First of all I want to say before anything else the results I’ve had from sleeping on the wool for a month now. It’s VERY warm. Usually when the cold weather hits in September I need an extra blanket over me while I sleep, but with this wool mattress topper I’ve still been toasty warm at night so far. I don’t sweat as much anymore. Usually when I get too hot I sweat (like anyone) but I’ve found that this wool is so incredibly breathable I just don’t hardly sweat at all, which has also reduced my feeling thirsty in the middle of the night sometimes. I’m more hydrated and I sleep better. I sleep deeper. There’s no doubt about it, because it’s more breathable, my body is more comfortable and I’m sleeping deeper which means more energy in the day! HOORAY!!! I used 10 kgs (22 lbs) of White Eider Top Wool Roving from World of Wool for this project simply because it was the cheapest wool I could find. No need to spend on fancy wool when it’s never going to be seen! After lots of research and calculating I discovered my pure wool mattress topper would have double or triple the amount of wool in it as a regular wool mattress topper I could buy from the store for the same price! You must not skip this part of making a wool mattress topper, if you do, you’ll have a very flat topper without much bounce to it. 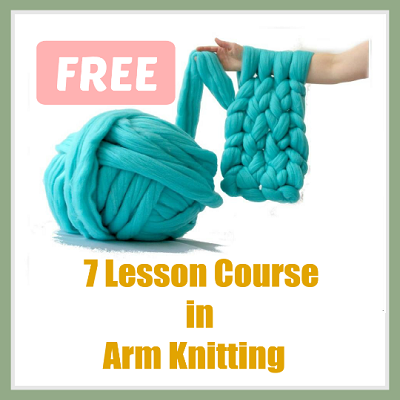 You can felt up your wool WAY FASTER by using the video tutorial in my Arm Knitting Mini Course. To felt up the wool roving you’ll need a spray bottle with water in it (and a few drops of your favourite essential oil mixed in, but this part is optional) and a bath towel. Put the towel on a flat surface where it won’t be moving around. For the video I used the ironing board but you can also snug a towel around your lap and do the felting in a comfortable chair. Lightly spray the wool roving and roll it between your hands and the towel until it starts to get slightly stiff. When it gets stiff and a bit roundish instead of flat like it used to be it’s ready. First – Tie a slip know and begin pulling the yarn through the loop to make another loop, slide your hand through the newly made loop to grab more yarn and repeat the same process. Make as many loops as your mattress is long. If you have too many loops, take some out, if you don’t have enough put more in. Second – Use the knit stitch on all rows (watch the video for this part) until you have just enough to cast off. Third – Cast off and weave in the end. Fold the newly made giant blanket in half so it fits the mattress, and put a duvet cover over it making sure the edges are nicely tucked under the topper to keep it tight (since the duvet cover will probably not fit it perfectly). TIP – Remember, bigger stitches will make your blanket a bit wider and your blanket longer, smaller stitches will do the opposite and make it smaller. That should be your mattress topper completed!!! Here’s to a peaceful nights sleep! Please share this with ANYONE that needs a better nights sleep. 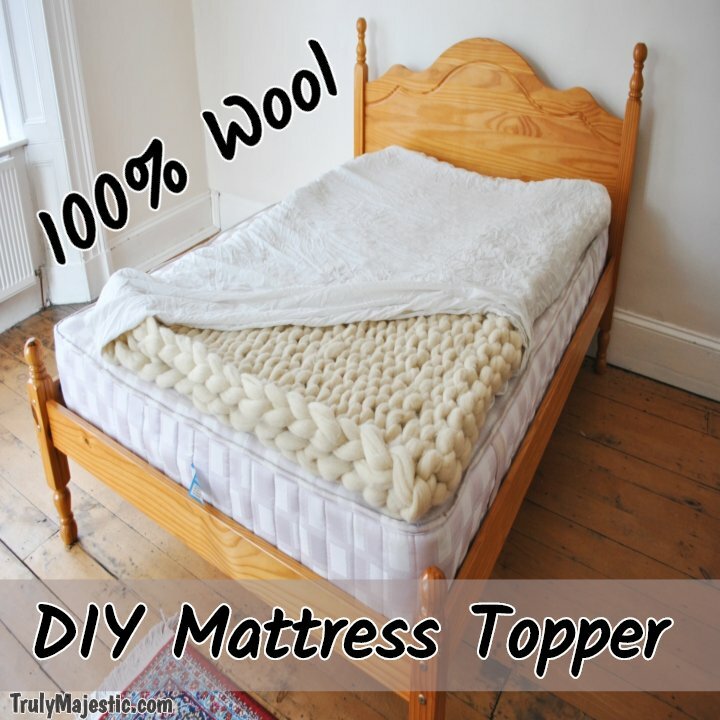 You'll learn how to make your mattress topper from pure wool roving, and where to buy the wool cheap. This is a no sew project that is easy to complete! 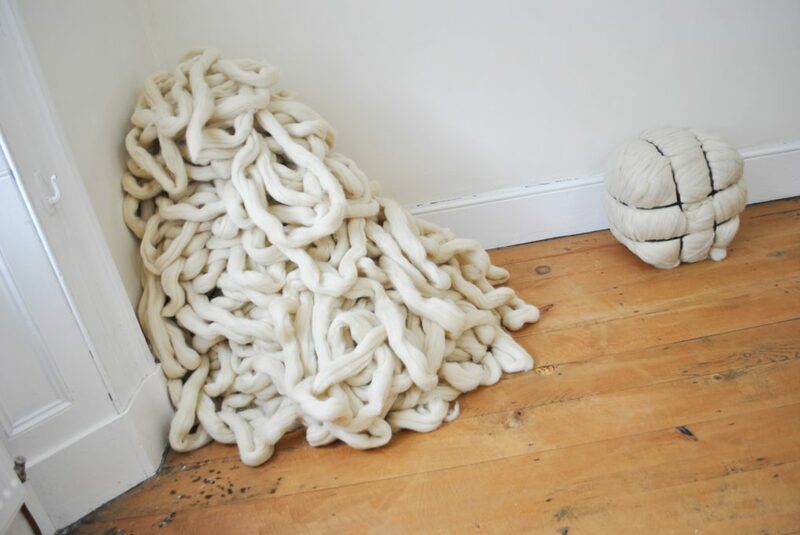 Could you knit a twin mattress like this bystacking multiple toppers and encasing in fabric or do you think it would be too squishy? Hi Tiffany, You can definitely do that, but keep in mind that as you sleep on your wool roving mattress, it will continue to felt over the months and get harder and harder until it’s very dense. 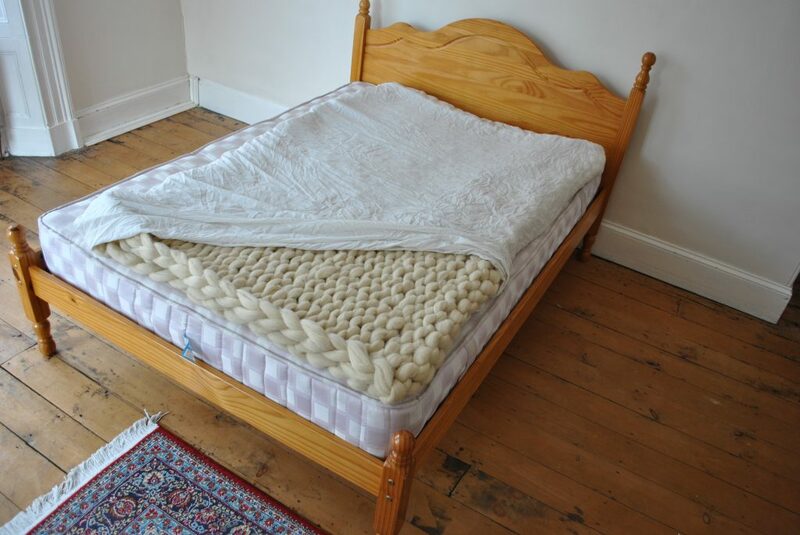 It will still be soft because it’s wool, but it won’t have any of the bounce that a spring or foam mattress would have, or even the same bounce as it was when you first knitted it up. As far as cost, it totally depends on where you want to get the wool. I would use at least 20 kgs (44 lbs) for a twin mattress. I actually know someone who has done this and they put their wool homemade mattress on the floor, but the floor has the little bit of extra cushioning from the carpet which a bedframe doesn’t have. 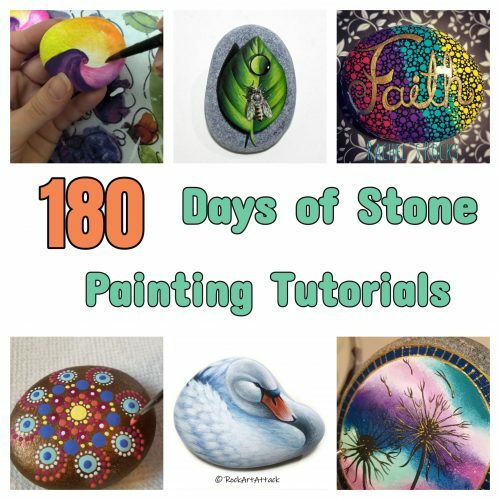 I hope that helped!